One of the hardest challenges for a Compensation Committee is to set annual incentive performance targets at levels that are lower than the prior year’s actual performance. One of the hardest challenges for a Compensation Committee is to set annual incentive performance targets at levels that are lower than the prior year’s actual performance. It is difficult to explain to shareholders when share price is dropping, how lower targets are appropriately challenging and why the executive team should be rewarded for lower performance. 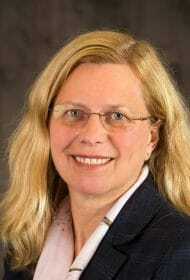 The need to retain key executives is generally not a sufficient answer. 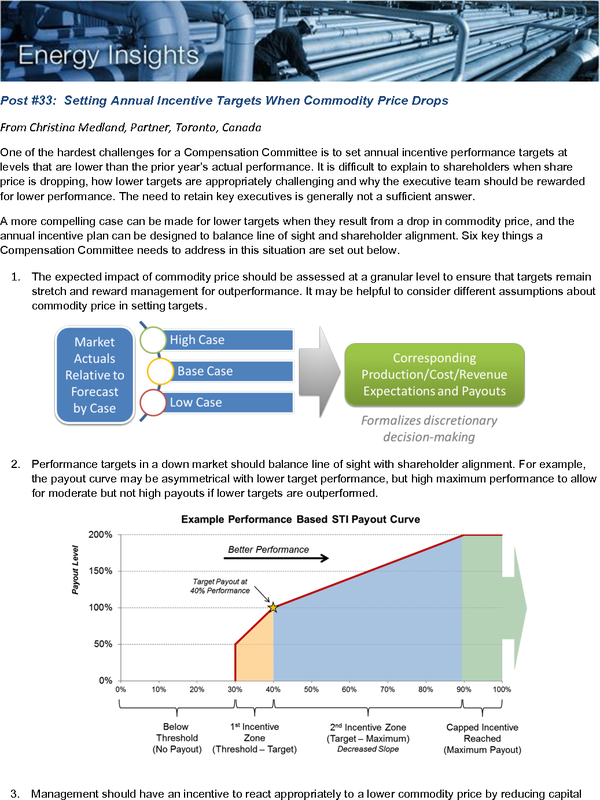 A more compelling case can be made for lower targets when they result from a drop in commodity price, and the annual incentive plan can be designed to balance line of sight and shareholder alignment. Six key things a Compensation Committee needs to address in this situation are set out below. The expected impact of commodity price should be assessed at a granular level to ensure that targets remain stretch and reward management for outperformance. It may be helpful to consider different assumptions about commodity price in setting targets. Performance targets in a down market should balance line of sight with shareholder alignment. 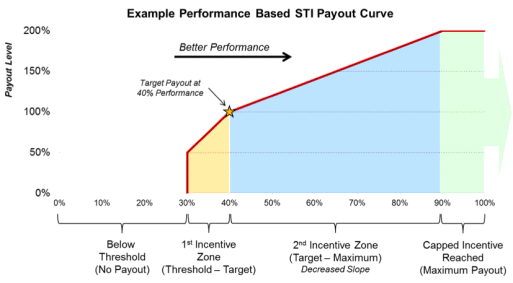 For example, the payout curve may be asymmetrical with lower target performance, but high maximum performance to allow for moderate but not high payouts if lower targets are outperformed. Management should have an incentive to react appropriately to a lower commodity price by reducing capital investment, cutting production etc., so the metrics themselves may need to be somewhat different in a lower commodity price scenario. There should be a clear and compelling rationale for target setting that can be disclosed to shareholders. Downward discretion should be retained to moderate payouts and upside might be capped to prevent a windfall payout if commodity price rebounds during the year—Total shareholder return relative to similar companies can be used as a sense check to ensure that payouts are appropriate. In order to maintain shareholder confidence, equal rigor needs to be applied in setting targets as commodity price increases, with a focus always on ensuring that targets have sufficient stretch to reward out performance. The goal is not to insulate management from the impact of a lower commodity price, but to ensure that they have an incentive to optimize decisions and position the company for success when commodity price increases. Archived copies of previous Energy Insights can be found at www.meridiancp.com/insights/energy.